The intelligence being built into O365 via the Office Graph is lighting up a whole array of new experiences within some of the old, familiar tools you already know and love. Whether it be Outlook, Word, Excel, or PowerPoint, Microsoft is committed to driving innovation and bringing brand new, intelligent, capabilities to our core productivity tools. 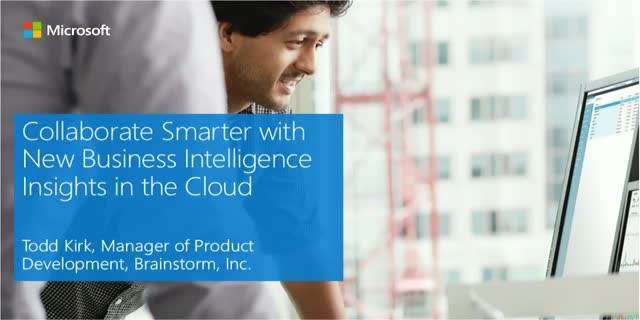 Join us for this webcast to explore some of exciting new features in O365, made possible by the scale of the cloud and machine learning. Todd Kirk, Manager of Product Development, Brainstorm, Inc. Presented by: Todd Kirk, Manager of Product Development, Brainstorm, Inc.